Your IT Welcome Packet was sent to the email address you submitted on your application. Your IT Welcome Packet contains your Username and Password for accessing school computers and technology resources. More information can be found here: Why have I not received my Welcome Packet? 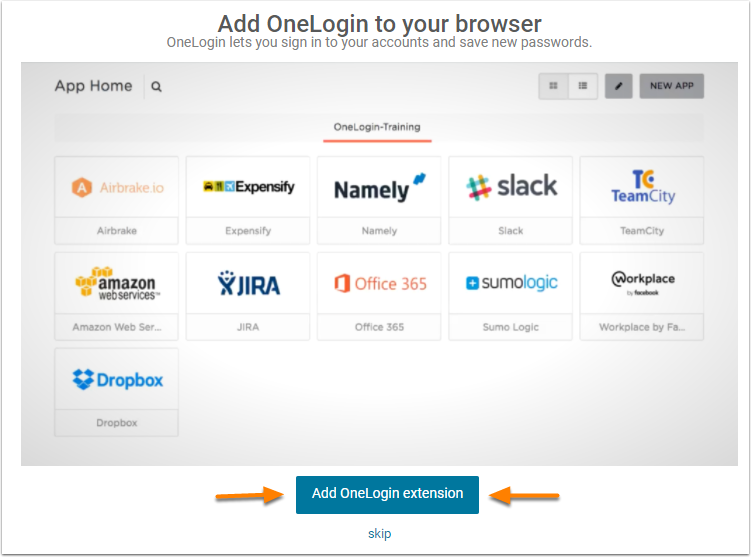 Click the Add OneLogin Extension button, the download will start. If you are using Chrome, you will be take to the Chrome Web Store. We strongly recommend using Multi-Factor Authentication to protect your account as well as your colleagues from potential attacks. Log into The Secured Student Gateway (SSIG) by clicking the Campus Cafe icon below. SSIG allows you to view/register for classes, billing information, and other course information. For more detailed instructions on SSIG click this link. Office 365 is the email system we use. 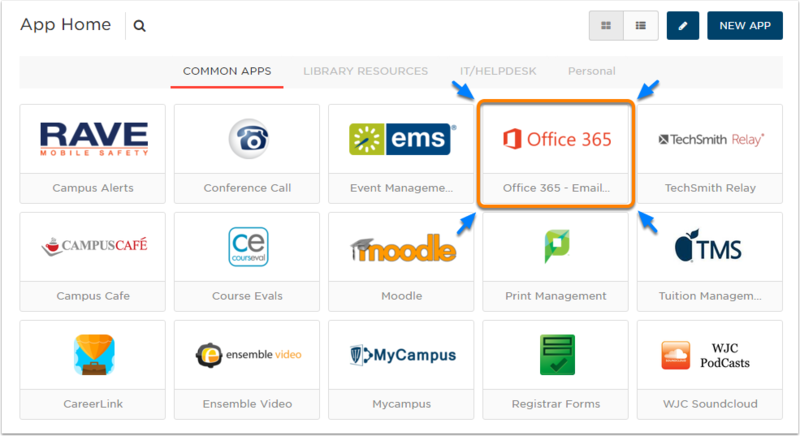 To login please go to login.williamjames.edu page and click on the Office 365 tile. Information about Office Training is available here: Microsoft Office Training and additional information on Microsoft Office/ Office 365 can be found at this link. Library Resources are also accessible from the Single Sign On Page, either by viewing all company apps or filtering by Library Resources. During Orientation there will be scheduled time for you to get your picture taken for your School ID. If you are unable to attend at the scheduled time, please email Support@williamjames.edu to setup an alternate time. The school provides the following software FREE to students. Further information on Software Downloads can be found here. Going forward you can access all of these sites through our portal Login.williamjames.edu. Please bookmark this page to access all of our systems. For further instructions on how to use Wi-Fi, Printing, Email, Canvas, and SSIG navigation please see the Students section. 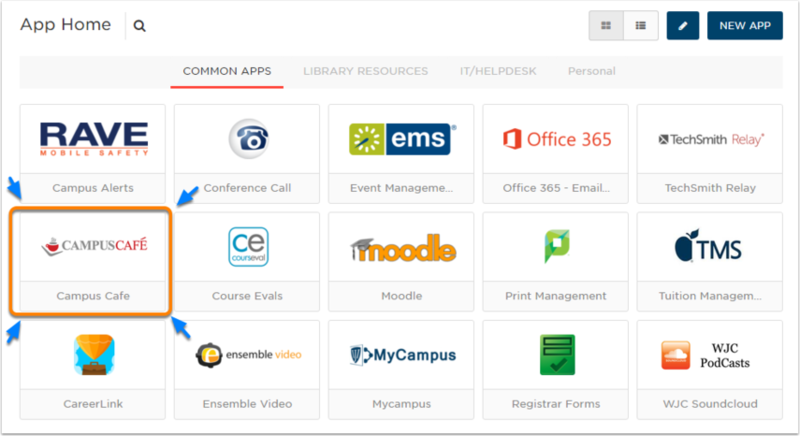 Canvas is William James College’s Learning Management System (LMS). It is a cloud-based learning platform that provides students with a place to access course materials, including syllabi, readings, and more. Students will not have access to Canvas until they are enrolled in at least one academic course, so if you are a new student, you may not be able to login to Canvas until closer to your matriculation date. Once you have access to Canvas you will be able to enroll in our online Student Technology Orientation course, which will provide some basic information about the various technology resources available to you. An email will go out to all students prior to the semester start date with an invitation to take the course. If you are awaiting Canvas access, you can take this short Tour of Canvas, located HERE. If you already have access to Canvas, you can click HERE to enroll in the Student Technology Orientation course.